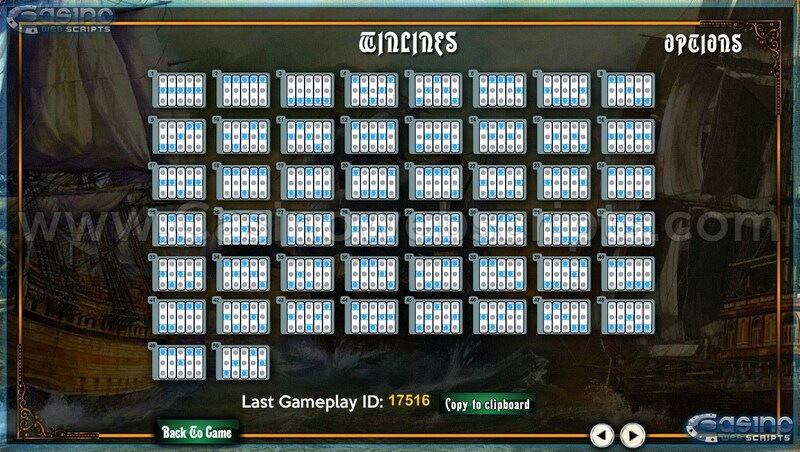 This game is currently unavailable for sale! 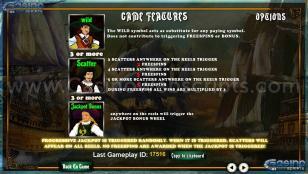 A newer version of this game can be found here (it has the same graphics, RTP, features). 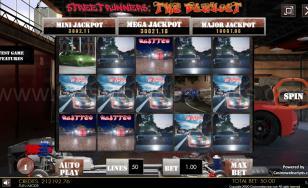 The difference between the two games is that the newer version is mobile compatible. 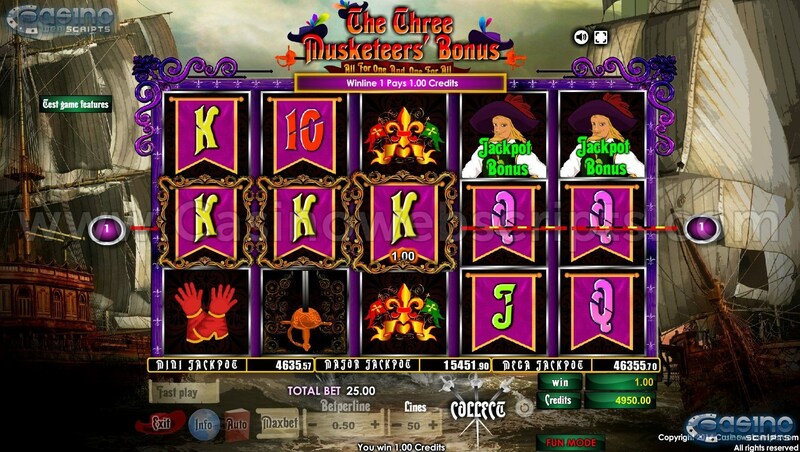 We begin our story in France where Athos, Porthos, and Aramis head on a marvelous adventure to retrieve the diamonds of the Queen. 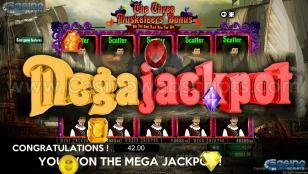 Join them on their way to glory and help them unlock the Jackpot Bonus game which will reward you with amazing gifts. 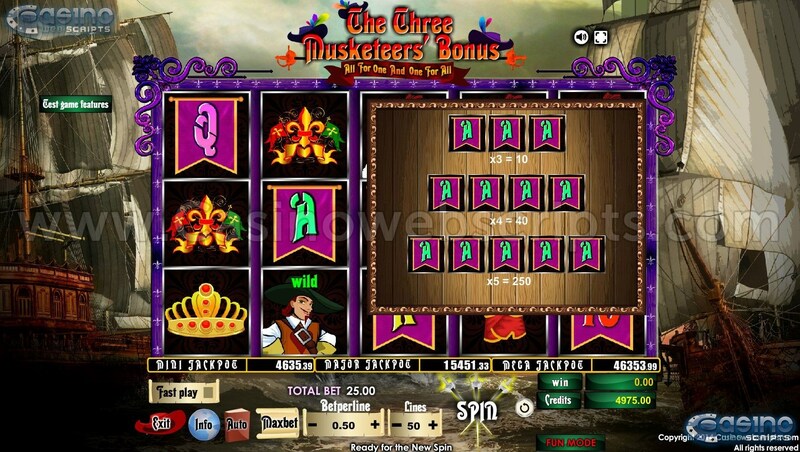 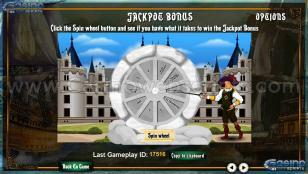 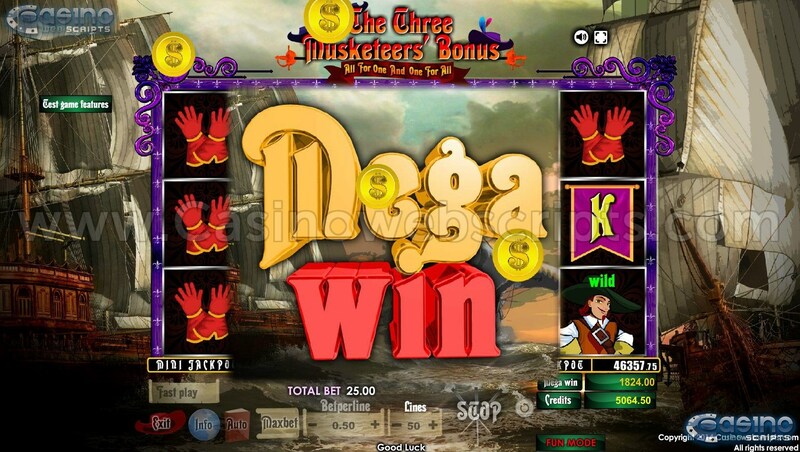 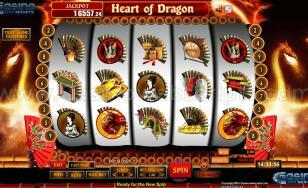 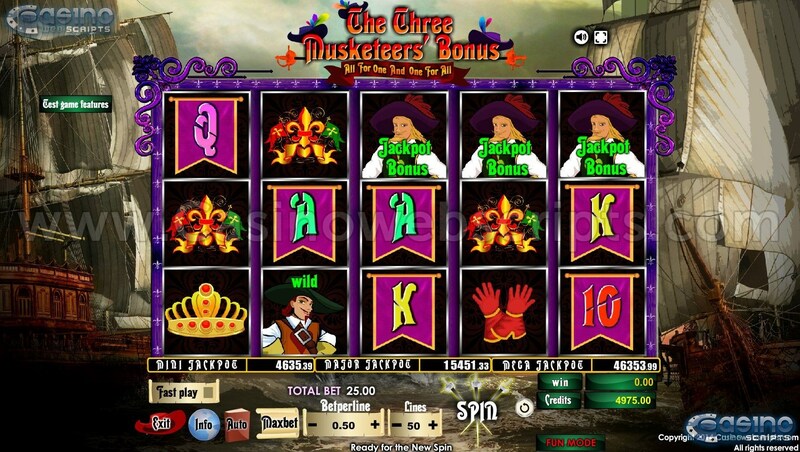 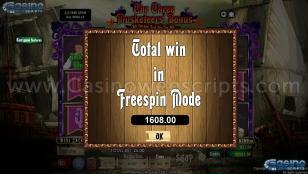 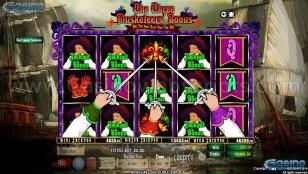 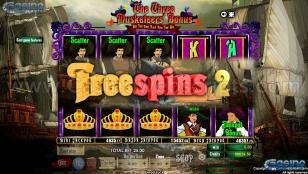 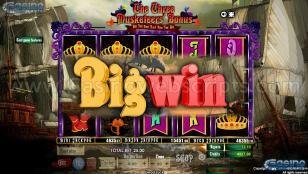 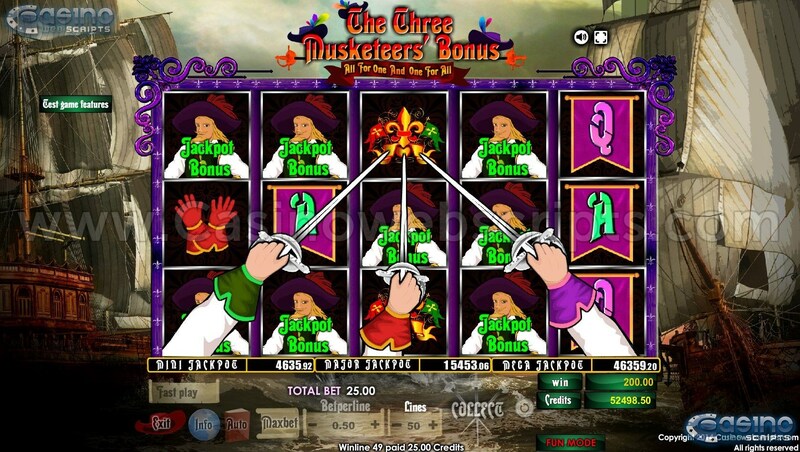 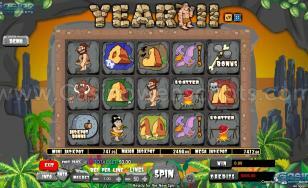 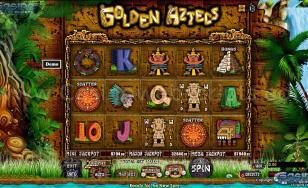 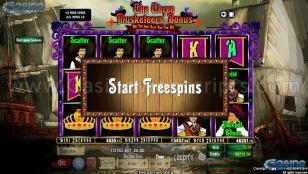 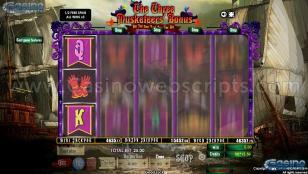 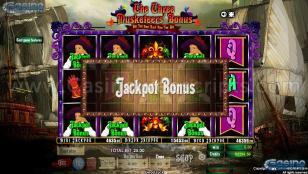 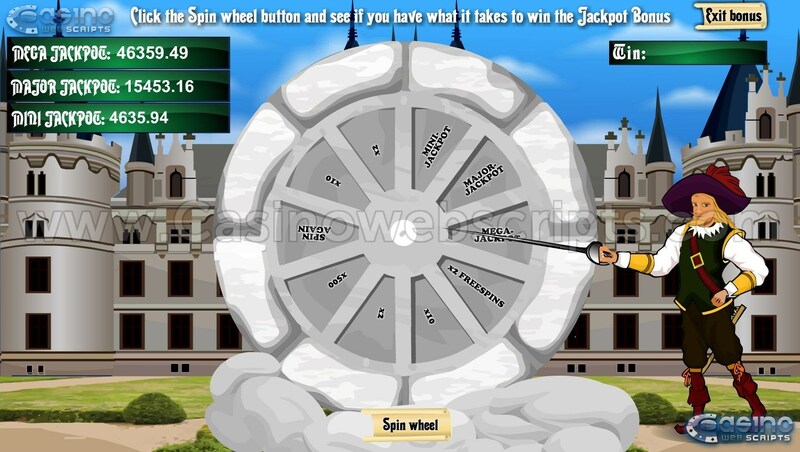 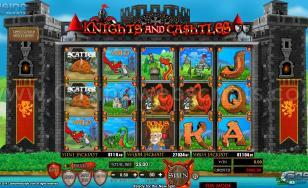 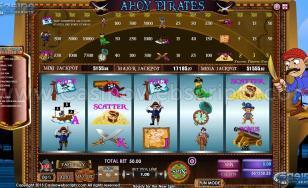 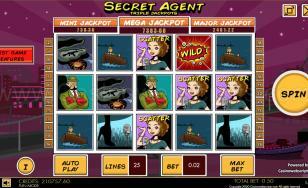 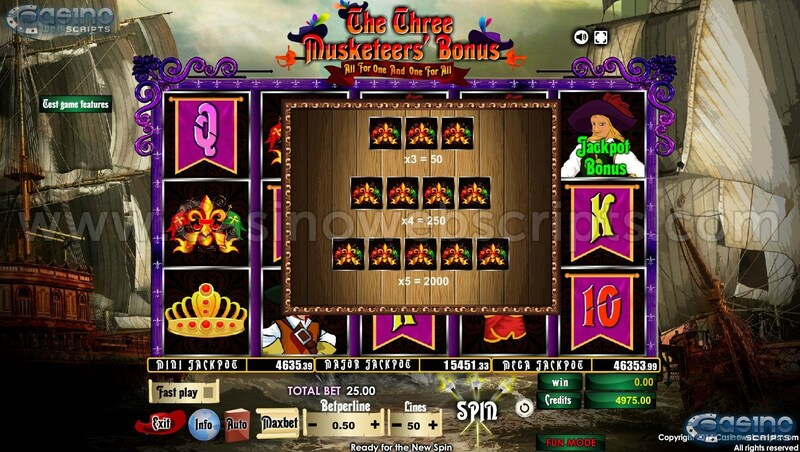 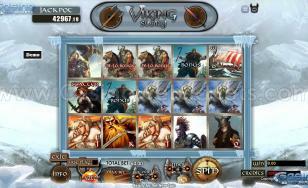 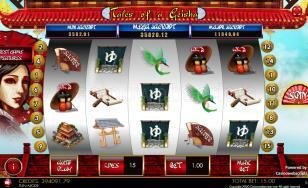 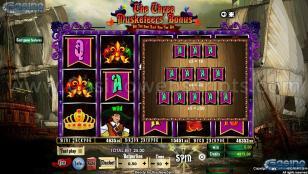 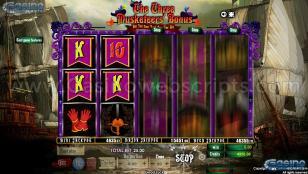 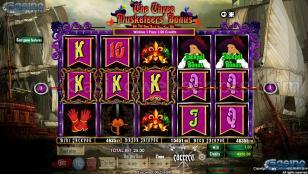 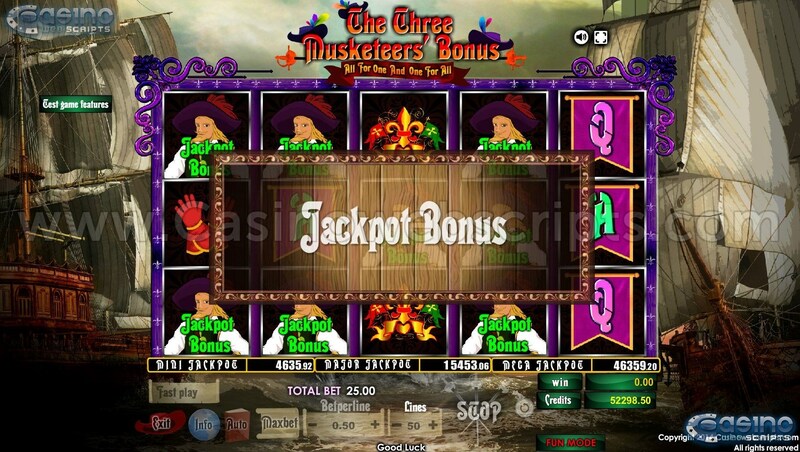 The game features 50 paylines, freespins, gamble game and many wonderful animations. 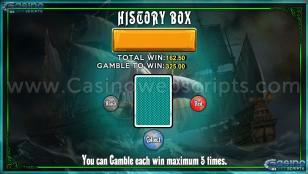 The jackpot pool will not exceed this value. 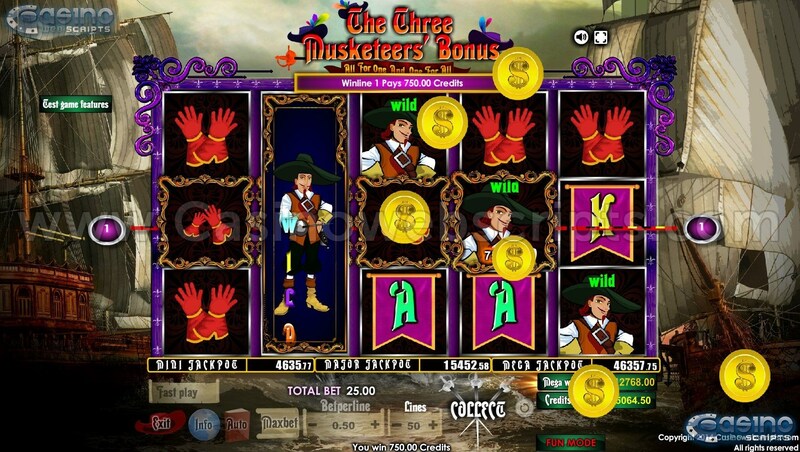 3x Jackpot Bonus symbols, in the base game, on an active line award a win based on betperline*paytable value for Jackpot Bonus symbol and trigger Jackpot Bonus mode. 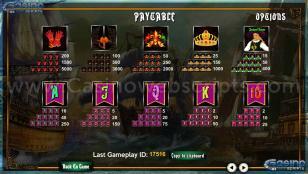 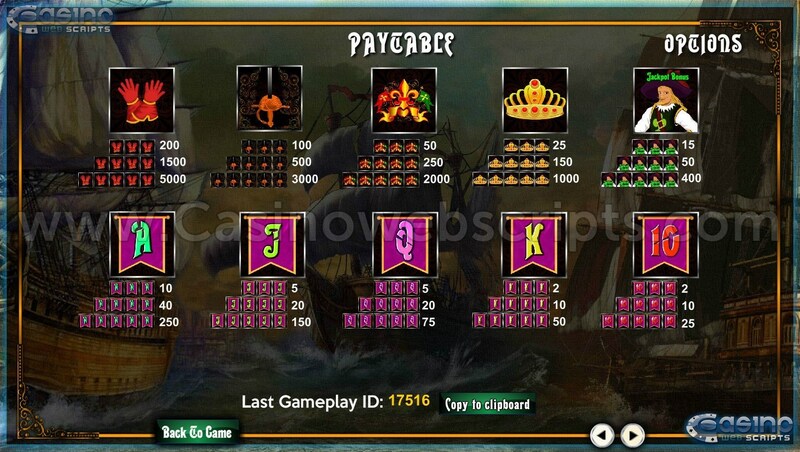 3x Jackpot Bonus symbols, in the base game, anywhere on the screen award only Jackpot Bonus mode. 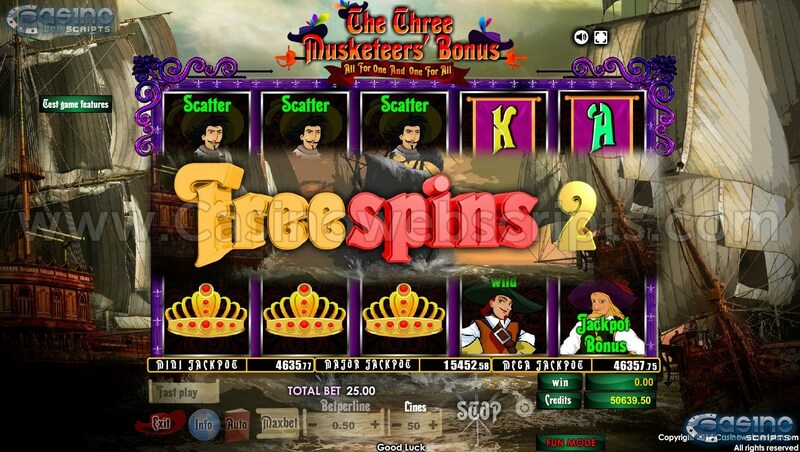 3x Jackpot Bonus symbols, in the free spins mode on an active line award a win based on betperline*paytable value*freespin multiplier for Jackpot Bonus symbol but do not trigger Jackpot Bonus mode. 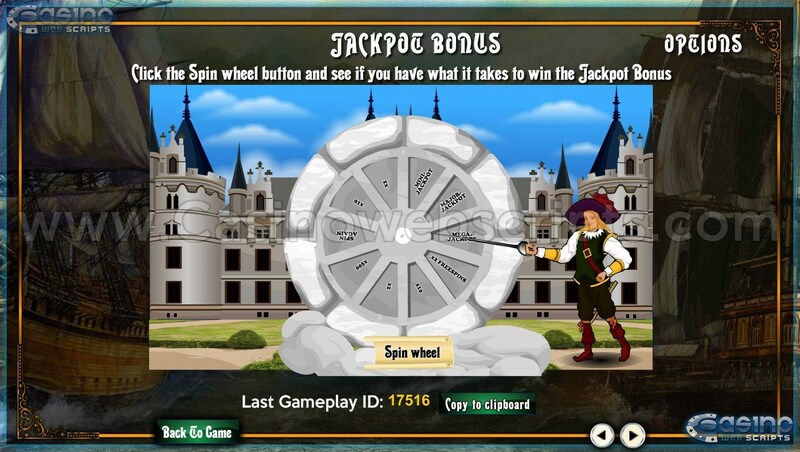 3x Jackpot Bonus symbols, in the free spins mode anywhere on the screen do not award Jackpot Bonus mode. In Jackpot Bonus mode, you can win randomly one of the available Multipliers (x2, x10 or x500 ), 2 FREESPINS or one of the 3 progressive jackpots (Mini Jackpot, Major Jackpot or Mega Jackpot). 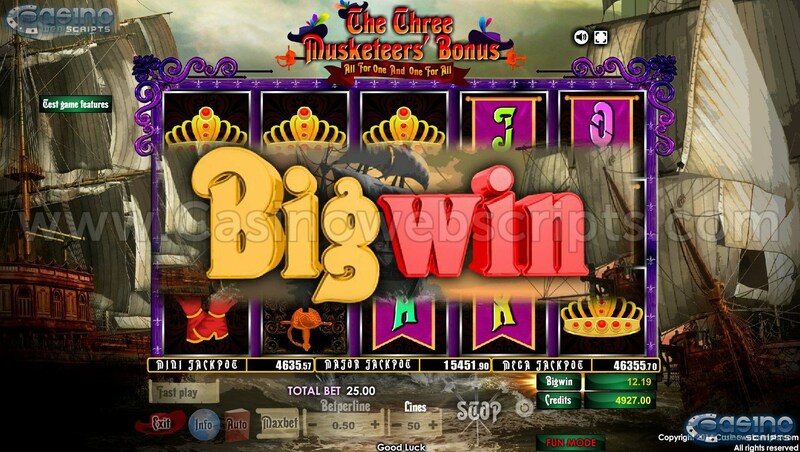 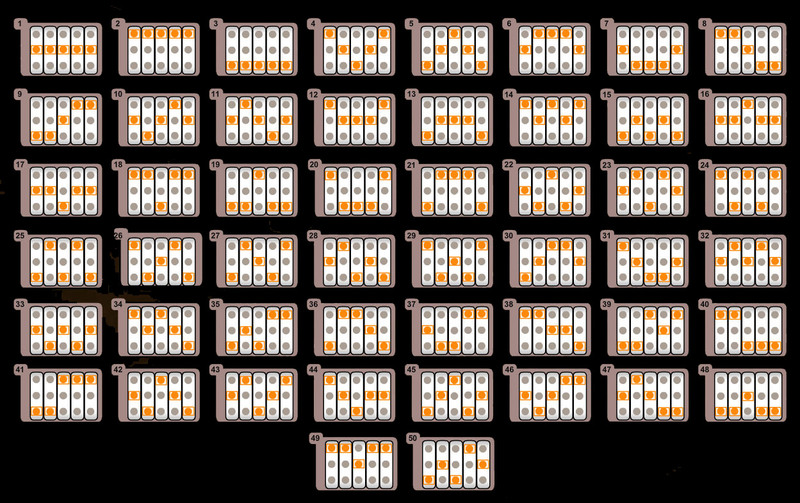 If one of the multipliers is won, the win amount will be equal to the total bet multiplied by the multiplier won. 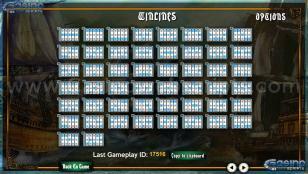 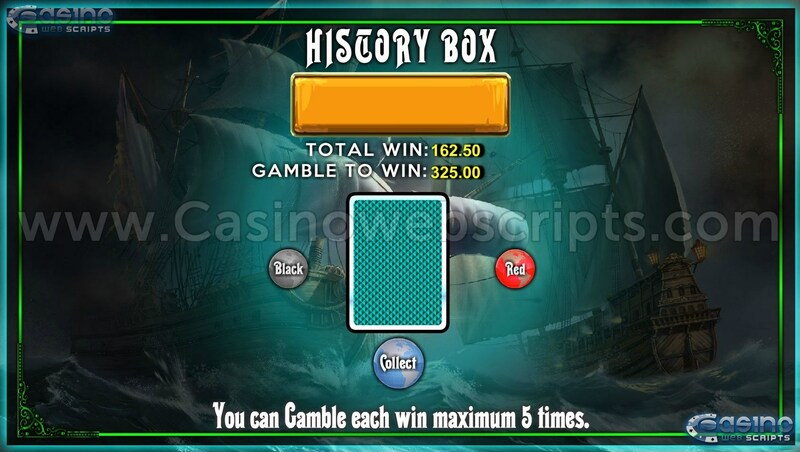 The win amount will be displayed inside the WIN box from the Jackpot Bonus page. 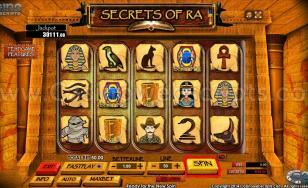 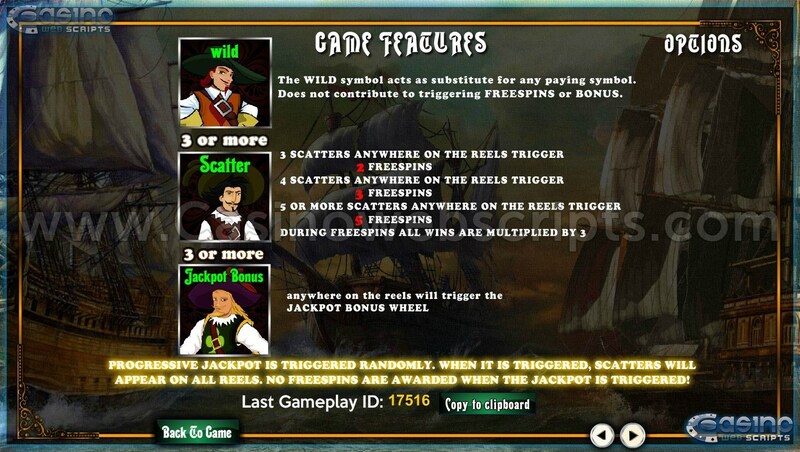 When 4x Scatter symbols appear anywhere in the screen, you are rewarded with 10 FREESPINS.